Intricate lace edge detailing will draw one's eye as you walk down the aisle in this captivating cathedral veil! 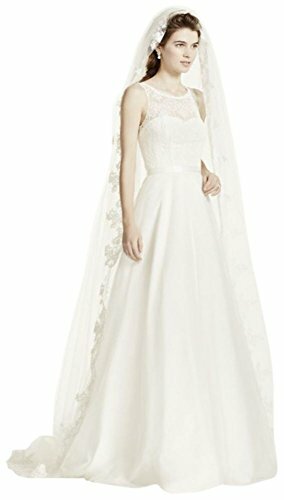 One tier cathedral veil features thick lace embroidery along the edges. Dimensions: 96"W x 108"L.